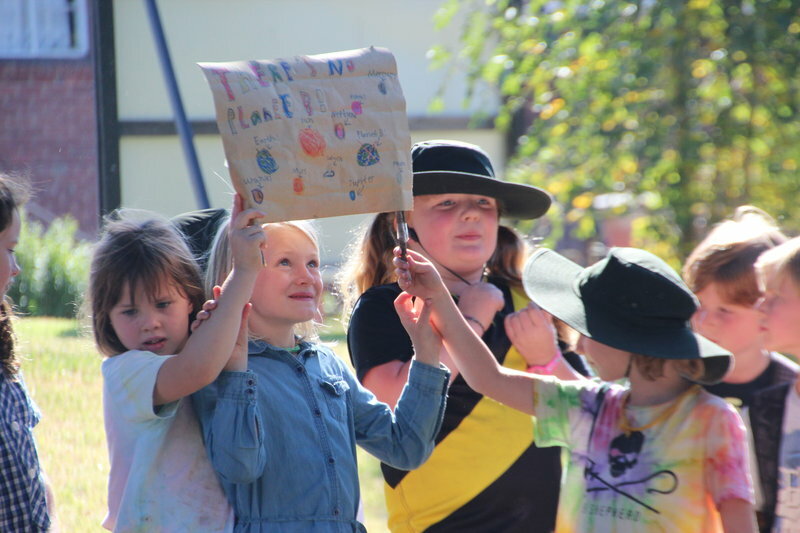 While some parents had chosen to take their primary school aged children into the main #climatestrike march in Melbourne, quite a few students had stayed at school to be picked up by parents. Students had painted banners and coloured posters to carry on the march. A table was set up for students to write letters to the Prime Minister and Members of Parliament. A number of speeches were given by some of the students including 6th grader Lucy. Her speech was uncompromising and articulate in the need for politicians to take action now to address the climate crisis, for her future and future generations. “If the problem is real, the damage has already been done. If my future and others is in grave danger, global warming has to stop.” said Lucy. “The politicians have not acted, the coal mines have not stopped. So for the future of us and our world, we need to stop it. “We will march and shout, even walk away from school. If power will not listen, we will make it. Maybe we can’t vote, but we can protest. We may only be small but we can make a difference. As long as our values last, our values will drive us. The people here will chant so loud we will wake people from a dreamy world to a world that needs action and change. Because if global warming is not stopped, my children and grandchildren will ask me, ‘what were people like when you were a child?’ Then they will ask me why people did not stop climate change when it still could be. The local MP for Brunswick Tim Read was also present and spoke briefly on the rally in the city and the present recycling crisis. He particularly highlighted the danger of waste incinerators, that while they are a solution to disposal of some of our plastic packaging accumulating, they would release more carbon contributing to the climate crisis. 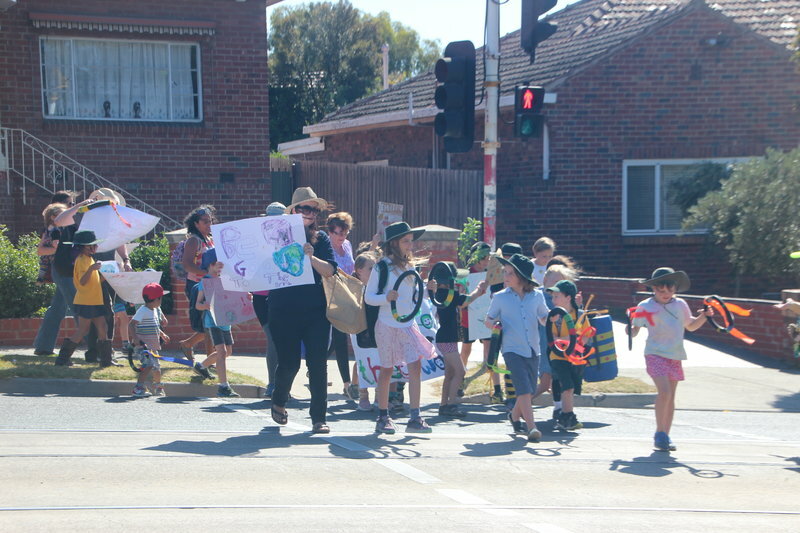 Kudos to the parents and teachers at Brunswick North West Primary who used the climate strike as an educational opportunity for civic engagement by the students on this pressing issue. Entry filed under: news, rallies & protests. Tags: Brunswick West, climatestrike, Cr Natalie Abboud, students, studentstrike4climate, tim read.